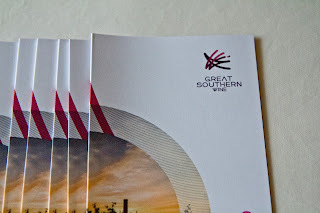 The Great Southern Wine Producers came to town recently to meet up with local wine enthusiasts. One of their aim was to share with wine consumers here information on their wine zone, sub-regions and the type of wines they produce. A handful of wine producers from this region participated in the Masterclass, Dinner and Walkabout Tasting held in conjuction with this awareness exercise. 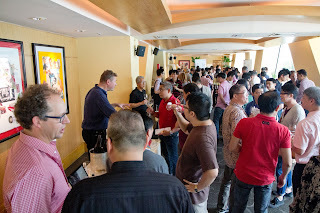 The Wine Review acted as the local organizer and hosted these wine events in Singapore. It’s a timely reminder of this region, as local wine folks here by and large look towards Swan Valley and Margaret River wine regions for their purchase of Western Australian wines. Even during casual discussions on cool climate wine regions in Australia, the Great Southern wine region seldom gets readily mentioned. 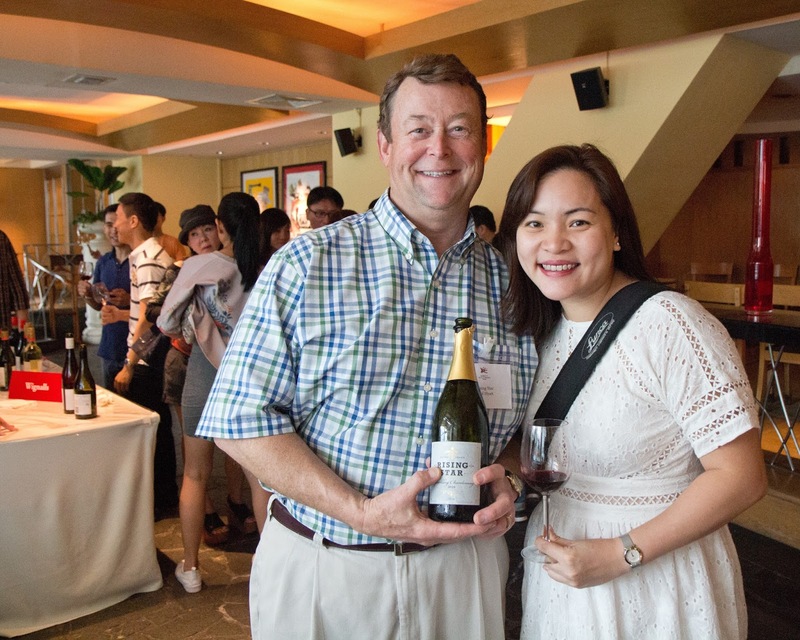 At times a little effort from wine associations and stakeholders go a long way to educate and expose wine consumers to wine regions less heard of. 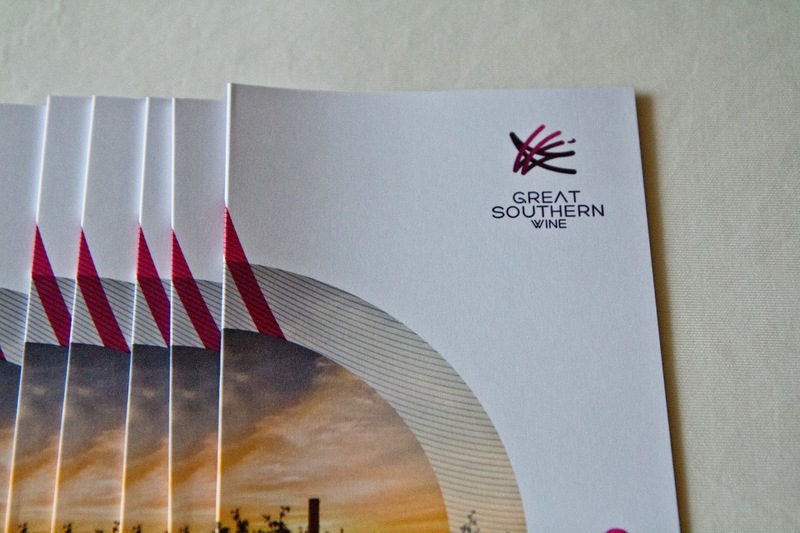 In this context, the efforts of the Great Southern Producers Association needs to be appreciated. 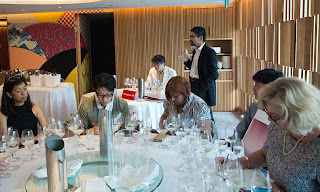 The masterclass was held at Yan Restaurant (National Gallery of Singapore). 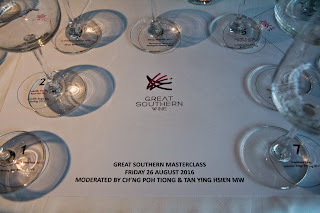 Ch'ng Poh Tiong and Tan Ying Hsien, MW moderated this tasting session. 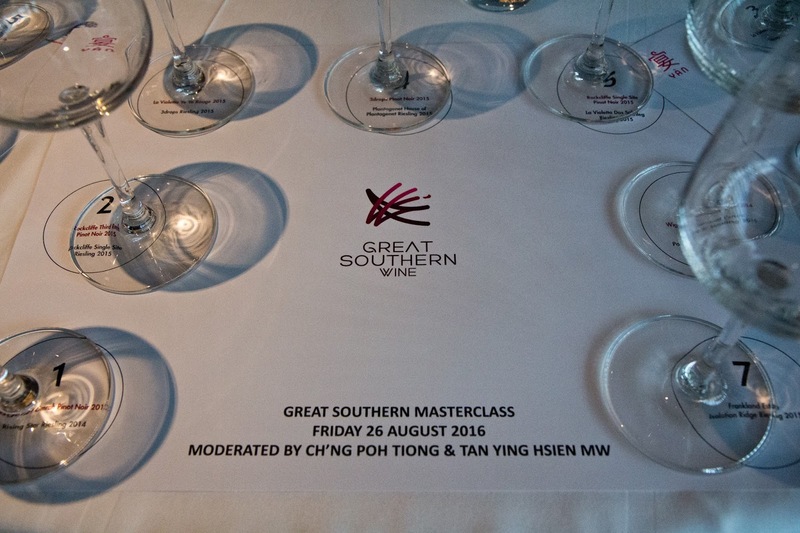 Over 2 flights, participants were given the opportunity to taste Rieslings and Pinot Noirs to better understand the style of wines produced in the Great Southern region. Unlike the warm-hot wine regions in Australia, The Great Southern offers the coolest wine growing region in Western Australia. The grapes get the opportunity ripen slowly, gain physical and phenolic ripeness, while at the same time retain good acidity to provide a fresh, vibrant sip. The wines therefore weren’t bold, concentrated or rich in character. They were, as one would expect, more the cool climate style displaying a degree of restraint and offered a delicate personality. 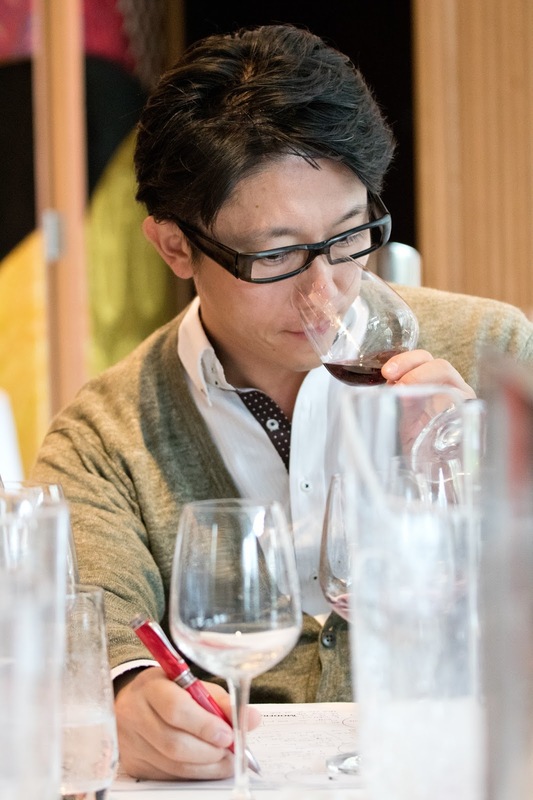 They highlighted more the purity of fruits in fresh, lively, light-plus to medium bodied sips. Rieslings from this region by and large highlighted minerality and citrus notes, with the occasional white flower blossom aroma. Pinot Noirs were notable for their youthful body with fresh red berry notes and lively acidity which offered a feel of vibrancy in one’s palate. 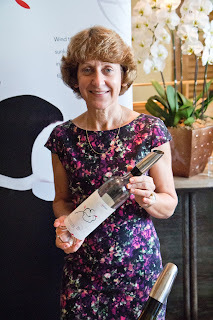 This tasting was held at Salon by the Pool (Conrad Hotel) on 27 Aug. Both public and wine professionals attended this casual walkabout tasting which offered participants the opportunity to interact with wine producers directly and taste their wines. 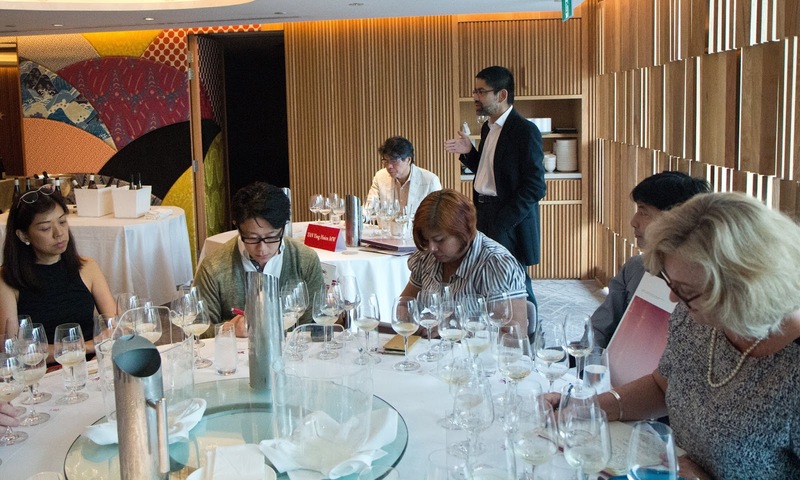 Apart from Rieslings and Pinot Noirs introduced during the Masterclass, there were wines made from Chardonnay, Shiraz, Cabernet Sauvignon and Cabernet blends as well. The Sparkling Chardonnay and Rose from the Rising Star winery and the Rose from 3drops proved delightful distractions from the still reds and whites tasted during this event.